Smallwood Park, bigleaf maple, a photo by The Bacher Family on Flickr. 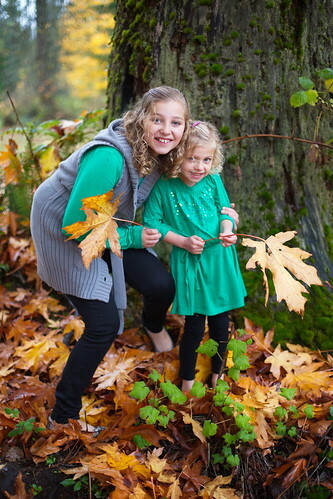 Katie and Aubrey at Smallwood Park, with bigleaf maple leaves! 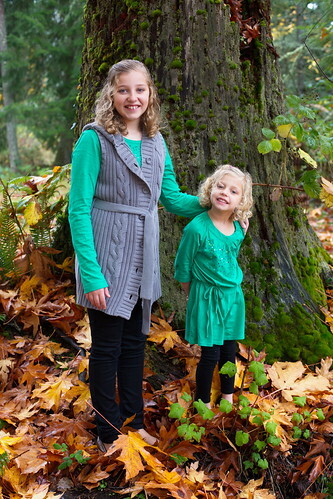 Here's Aubrey and Katie again, this time in their front yard. 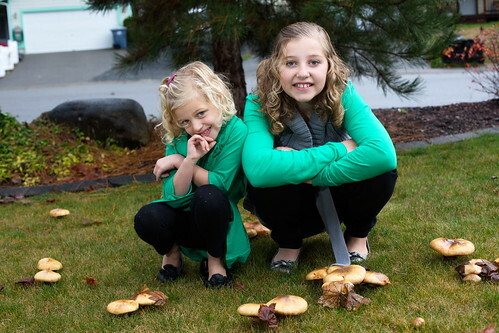 The portrait with toadstools didn't turn out as cool as I thought it might, but the girls still look great!